The Athletic Matrix. 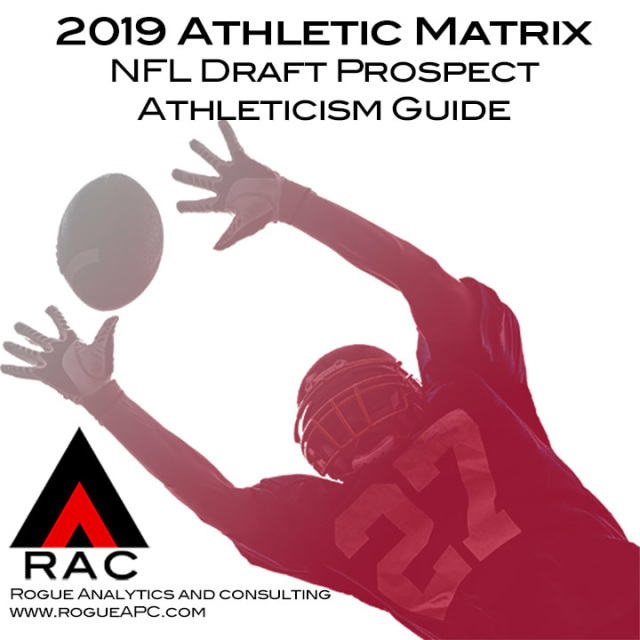 Positional Athleticism Rankings, 200+ player profiles, 300+ player results, sub-matrices on Deep threat range, change of direction skills and production metrics. 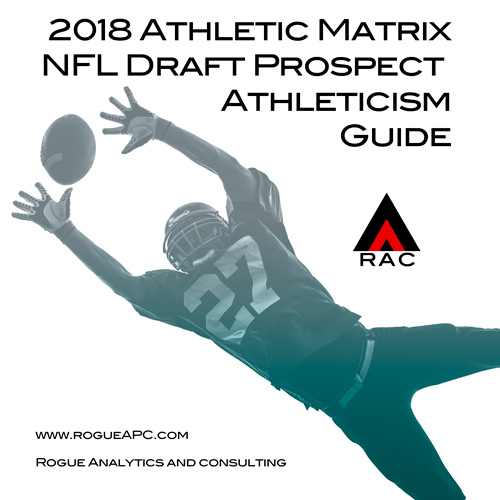 The Athletic Matrix uses the athletic testing results as components to evaluate on-field functional athleticism. 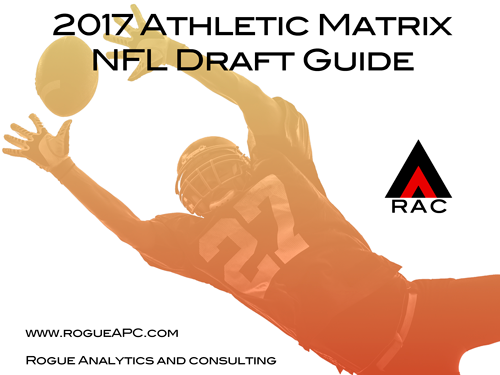 When combined, this is the Rogue Analytics Athletic Matrix. Rogue Analytics is built on a background in strength and condition and exercise physiology.